One of the places which Peggy was keen to visit was the Lewis Grassic Gibbon Centre at Arbuthnott in The Mearns, Aberdeenshire. So one fairly fine day we drove up there to the centre which is really a cafe with a small exhibition at the back of it, telling the story of Lewis Grassic Gibbon who wrote the Sunset Song books amongst others. Those are the ones which most people have heard about though as they have been dramatised for TV a few times. 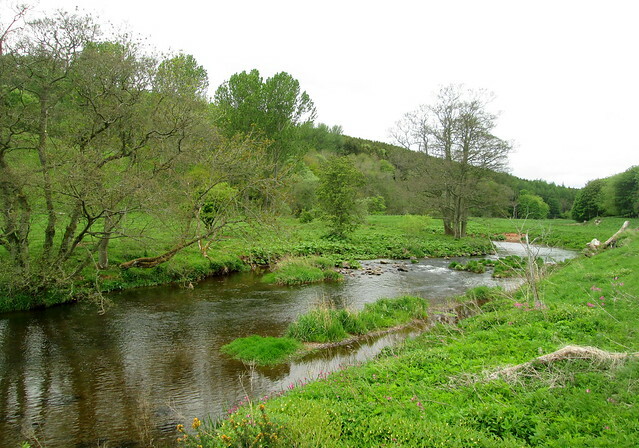 It’s years since I read the three books which make up The Scots Quair, but I remebered The Mearns which is the area they are set in was depicted as being a harsh and grim place but as you can see in these photos it’s rather lovely, in the spring/summertime anyway. 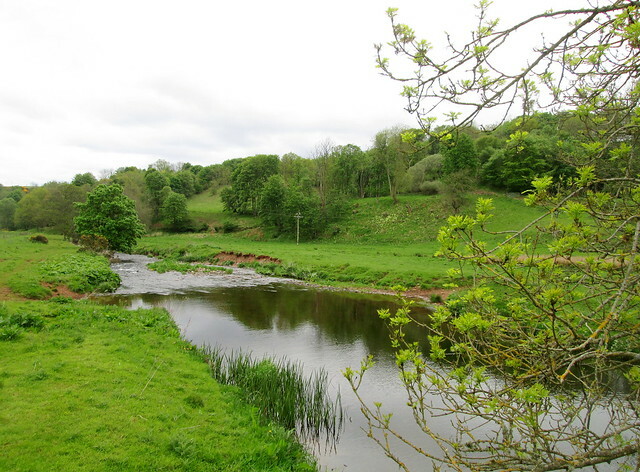 The wee river is the Bervie and it meanders across the fields which are just down the hill from the church where Lewis Grassic Gibbon was buried just days before what would have been his 34th birthday. 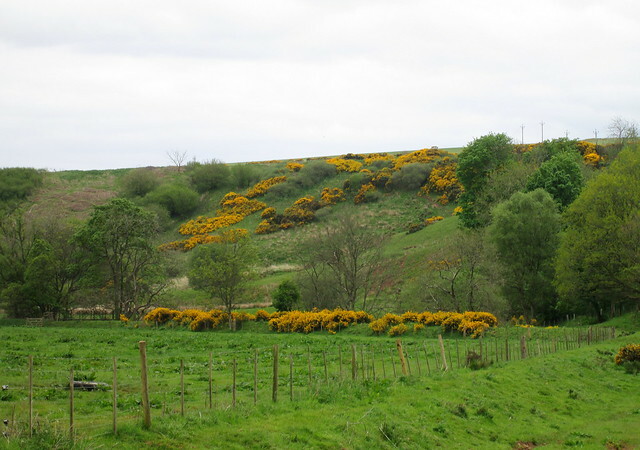 Standing on a wee wooden bridge which spans the river you can look over to this field of gorse or whins as it is called in Scotland, and see a bank of primroses still blooming in late May, everything is at least two or three weeks later in flowering than in the south. If you look closely you’ll be able to see the primroses again in the photo below. Grassic Gibbon had a hard life, having to join the army just to save himself from starvation at one point, and it’s sad to think that although he did eventually find success in writing, he died way down south in Welwyn Garden City, a town which I lived in for a short time at the back end of the 1970s, not a place of beauty as I recall. 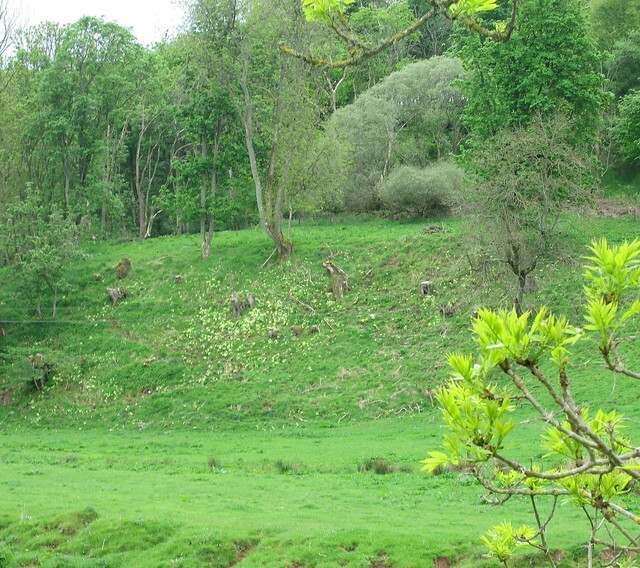 I’m sure that I took some photos of ruined houses which were standing either side of the rough track which leads down to the River Bervie, but again they don’t appear on my camera, I think it’s a temperamental beastie – that camera of ours. It’s the 1971 version of Sunset Song which I remember most fondly and I’ve discovered that someone has kindly put it on You Tube. I might just wallow in some nostalgia. I must have been 12 when it was first broadcast and it led to me reading the books. This entry was posted in BBC, Books, Scenery, Scotland, Scottish History and tagged Aberdeenshire, Arbuthnott, Lewis Grassic Gibbon, Sunset Song, The Mearns by Katrina. Bookmark the permalink. Beautiful photos. We would love to be able to take photos there. But neither of us wants to fly so we have to find places nearer to home. We haven’t flown for over 30 years and then it was only short flights to Europe, I’d love to go further afield but dread a long flight. Oh for a ‘Beam me up Scotty’ gadget! You got lots of gorgeous pics there! I didn’t take enough! Although I do have the ruins. You’ll be back. I also thought I had at least one of that bull but I haven’t. I think I must have been clicking too fast for the camera to cope!